Yet another rumor claims Apple is planning to launch a new iPhone with an even larger display late next year, and that the company may promote the so-called "iPhone 6" as the first big-screen phone able to be operated with just one hand. The details come from Japanese magazine Mac Fan, which were summarized on Tuesday by Macotakara. The report claims Apple's next-generation iPhone may sport a 1,920-by-1,080-pixel 5-inch display packing in 440 pixels per inch. It was claimed that Apple plans to make both sides of the screen as "thin as possible." That could allow the company to promote the "iPhone 6" as the first "phablet" able to be operated with one hand. The appeal of one-hand operation was already something Apple already focused on when it released the iPhone 5, sporting a larger 4-inch display, in 2012. 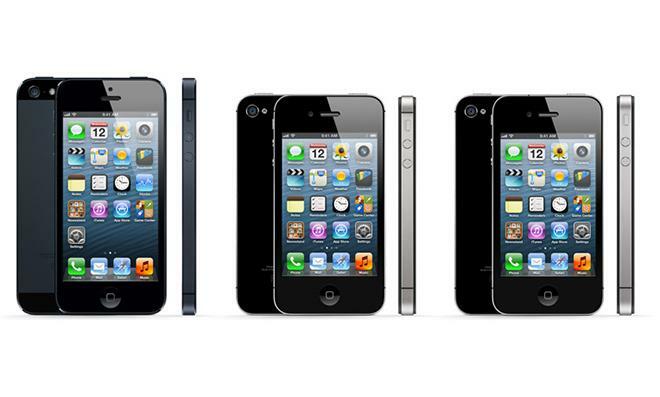 That was an increase from the 3.5-inch display size found on all previous iPhone models. The magazine that serves as the source of the latest rumor isn't known for leaking information about Apple products, and thus does not have an established track record. But there have been multiple claims that Apple may be planning to release a larger screened version of the iPhone in 2014. Most notably, well-connected analyst Ming-Chi Kuo of KGI Securities said in September that Apple is apparently planning to release a new handset with a screen size between 4.5 and 5 inches. He said that the company is unlikely to release anything larger than 5 inches due to the company's "unwavering principle of one-hand use." So-called big-screen "phablets" have become increasingly popular in the smartphone market, with Samsung leading the way in terms of selection. The Korean firm's recently released Galaxy Note III features a 5.7-inch display, while the Galaxy Mega comes close to being a small tablet with a 6.3-inch screen.